Clive “Max” Maxfield received his B.Sc. in Control Engineering from Sheffield Hallam University in England in 1980. He began his career as a designer of central processing units (CPUs) for mainframe computers. Over the years, Max has designed all sorts of interesting “stuff” from silicon chips to circuit boards and brainwave amplifiers to Steampunk “Display-O-Meters.” He has also been at the forefront of electronic design automation (EDA) for more than 25 years. Max moved to America in 1990. 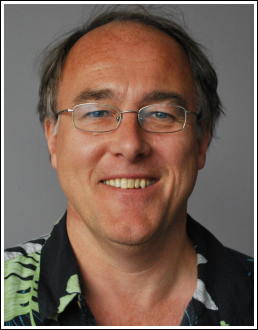 Max´s numerous technical articles have appeared in a wide variety of electronics and computing magazines, and he has held contributing editor and executive editor positions for many of these publications. Currently, Max is the Editor-In-Chief at EEWeb.com. Already a noted author of over a half-dozen books, Max is always thinking of his next project. He would particularly like to write for teens, introducing them to engineering and computers in a fun and exciting way. For this is what sets “Max” Maxfield apart: It is not just what he knows, but how he relates it to the learner. Max´s enthusiasm is palpable, and perhaps this is why he is also a much-sought-after speaker at technical conferences around the world.